After Thursday’s match, we’ll know the identities of six semifinalists: the four winners and two of the wild cards, since the two highest scores can’t be eliminated on Friday. How many of tonight’s candidates – 8-timer Drew Horwood, College Champ Terry O’Shea, and 5-timer Sarah McNitt – will punch a semifinal ticket? Each of our three players had peculiar wagering tendencies. 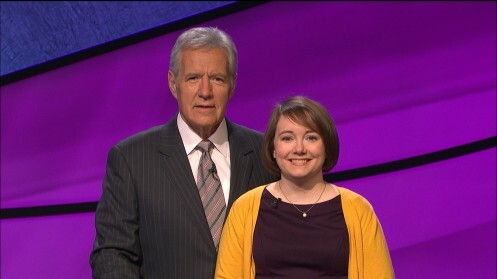 Had I been doing The Final Wager in Season 29, Drew’s games would have given me quite a bit of work. He had a roller-coaster ride in his streak – he didn’t have a single lock until his eighth(!) victory, which is surely a record. 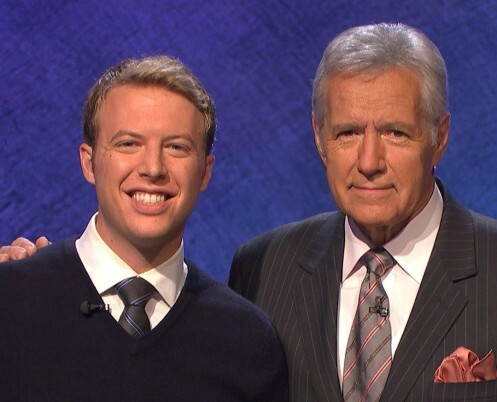 It’s tough to string together multiple wins when each game comes down to that crapshoot known as Final Jeopardy!. Drew went for the win +$1 in crush situations in Games 5 and 6. Properly going for (almost) everything… and reaping the benefit of a too-small wager out of Ilene. A tight game in which I would have been ecstatic over all three players’ wagers. Another good wager here out of Drew. 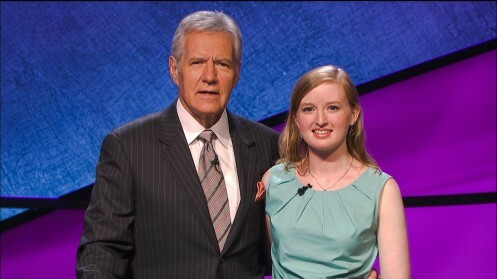 Given the scores and wagers, and assuming coin-flip probabilities of getting Final Jeopardy! correct, his odds of winning these three games were .25 * .5 * .25, or 3.125%. Bad wager out of third. Here’s where things get interesting. This is not quite a Brakhagesque wager – I would have preferred 699 or 700 – but Drew was anticipating David would wager to cover him by a dollar. Not much to do here; I suppose 2,001 would have been better, but Kathleen should have bet the farm. Terry is the other College Champ to appear in this year’s Tournament of Champions, hot on the heels of Jim Coury in Wednesday’s match. A conservative wager for the wild card – and the right one, in the end. Sarah McNitt needs no introduction, at least to fans of The Final Wager: she was the subject of my favorite analysis of Season 30. I’m thankful that she’s been quite cool about the “4,000” meme; it even got a mention in this article celebrating her return. Sarah had only one lock, in her fifth game. Weird – this one actually worked out for her! 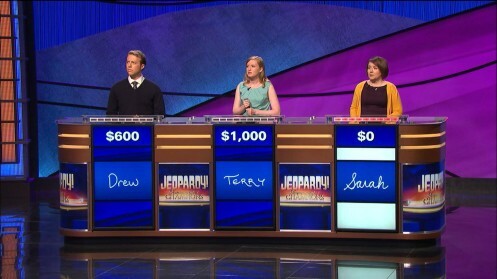 By game 3, Stacy had caught on to Sarah’s tendencies, and wagered accordingly. Sarah must have known this would be a weak category for her, so she pinned her hopes on both opponents missing (or making far-too-small wagers).